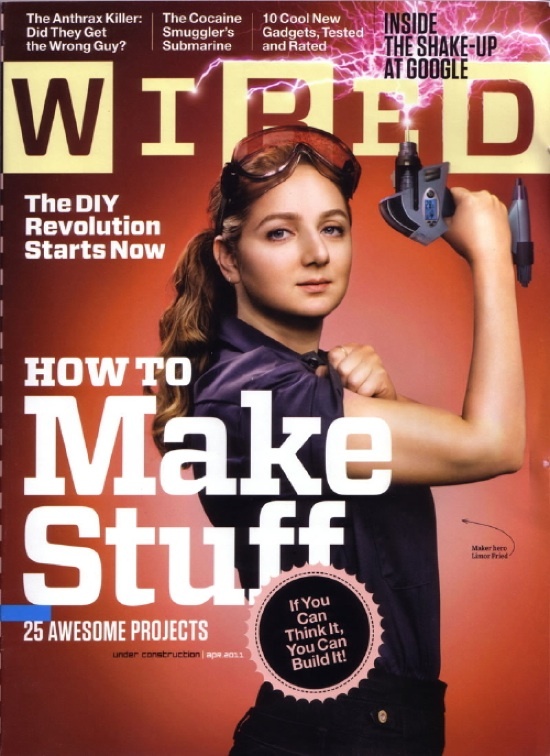 This image has been getting attention, as Limor “Ladyada” Fried, the woman pictured, is the first woman engineer to grace the cover of WIRED Magazine. WIRED is a key publication in the tech world. She’s posing in the now iconic “Rosie the Riveter” pose, arm out, sleeve up, bicep exposed in the “Yes We Can” poster style. It’s a great image, but I have to be honest and say that I’m tired of it. It feels so flat that that’s the only way we can represent women working in a man’s field. Limor’s field, engineering, is definitely a man’s world.